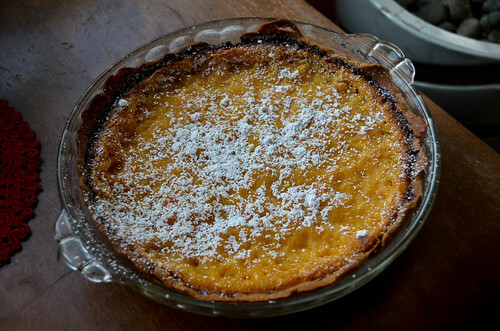 I attempted this Lazy Mary's Citrus Tart from Joy the Baker to brighten up a winter day. Instead of a meyer lemon, I used used 2 tangerines + 1 lemon. In hindsight, I probably should not have used the lemon, but too much lemon isn't what drove this to a failure state. Including the rinds of the fruit, as instructed by the recipe, appears to give the tart a fairly bitter aftertaste. 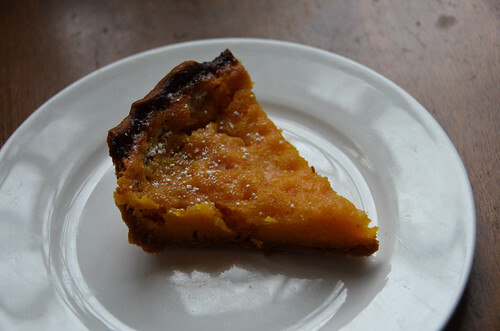 If I were to ever make this again, I would used the juice + pulp + zest, but leave out the pithe. Otherwise, the taste was pretty good.